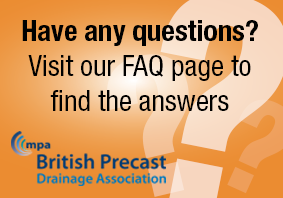 BPDA now has an FAQ, Search and Enquiry Page! When using precast drainage products, it is important that you get the right information for the job. We recognize that you may have some important questions that you need to ask. Some of those questions occur regularly and we have collated these as Frequently Asked Questions (FAQ) and listed them, along with the answers, on our new FAQ, Search and Enquiry page.